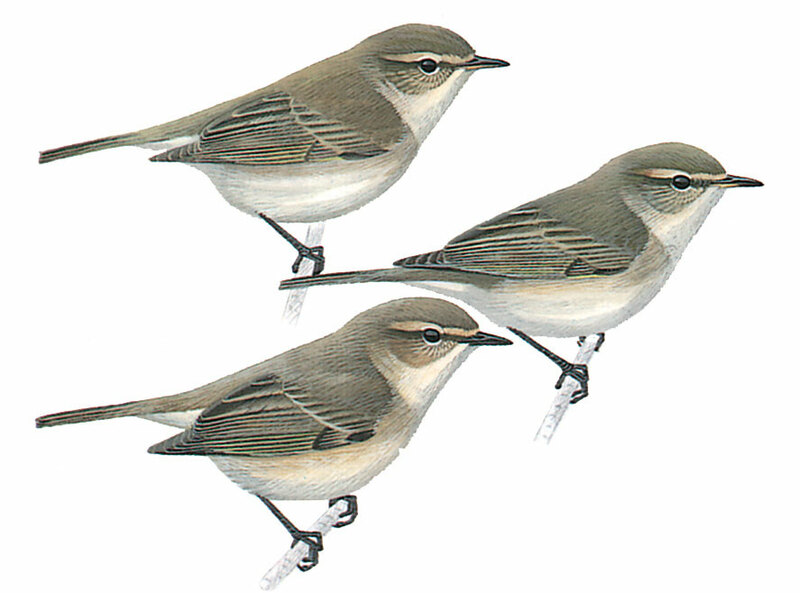 It is a middle-sized warbler, uniform dark olive greenish-grey in colour, with a round head and pot-bellied appearance.Yellow in plumage is limited to bend of wing, slight infusion on breast and sometimes under-tail coverts. Supercilium is short, off-white,tinged yellow or buff. A broken eye-ring often seen with dark ear coverts. Legs are black and bill is dark. Frequently dips tail when feeding.